Данный товар закончился на складе. Highlights - Full-featured 4-line business-class IP phone supporting Power over Ethernet (PoE) - Connects directly to an Internet telephone service provider or to an IP PBX - Dual Gigabit Ethernet switched ports, speakerphone, caller ID, call hold, conferencing, and more - Easy installation and secure remote provisioning, as well as menu-based and web-based configuration - Supports up to two Cisco SPA500S Expansion Modules adding up to 64 additional keys - Supports both SIP and SPCP Protocol with Cisco Unified Communication 500 Series Rich Phone Features and SIP Compatibility The Cisco® SPA514G 4-Line IP Phone with 2-Port Gigabit Ethernet Switch provides advanced voice and data communications features small businesses need to stay productive and responsive. Based on Session Initiation Protocol (SIP), the Cisco SPA514G (Figure 1) has been tested to ensure complete interoperability with leading voice over IP (VoIP) equipment from voice over IP infrastructure leaders, enabling service providers to quickly roll out competitive, feature-rich services to their customers. With hundreds of features and configurable service parameters, the Cisco SPA514G addresses the requirements of traditional business users while building on the advantages of IP telephony. Features such as easy station moves and shared line appearances (across local and geographically dispersed locations) are just some of the many advantages of the SPA514G. 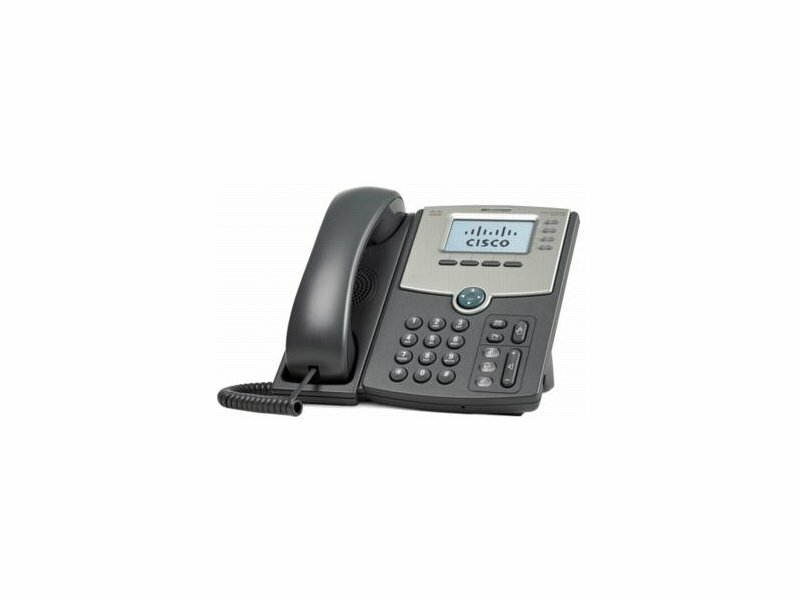 Stylish and affordable, the Cisco SPA514G IP Phone can also be used with productivity-enhancing features such as VoiceView Express, and Cisco XML Applications when interfacing with Cisco Unified Communication 500 Series in SPCP Mode. Secure and Easy to Manage The Cisco SPA514G was designed to simplify installation, while providing enhanced security for complete peace of mind. It utilizes standard encryption protocols to perform secure remote provisioning and unobtrusive in-service software upgrades. Secure remote provisioning tools include detailed performance measurement and troubleshooting features, enabling network providers to deliver high-quality support to their subscribers. Remote provisioning also saves service providers the time and expense of managing, preloading, and reconfiguring customer premises equipment.